Our highest spec micro petrol scooter. Upgraded to have both a rear and a front mudguard, sealed front shocks, a pair of foot pegs, and a single cleaner looking heat shield to cover the entire engine, instead of multiple smaller pieces. 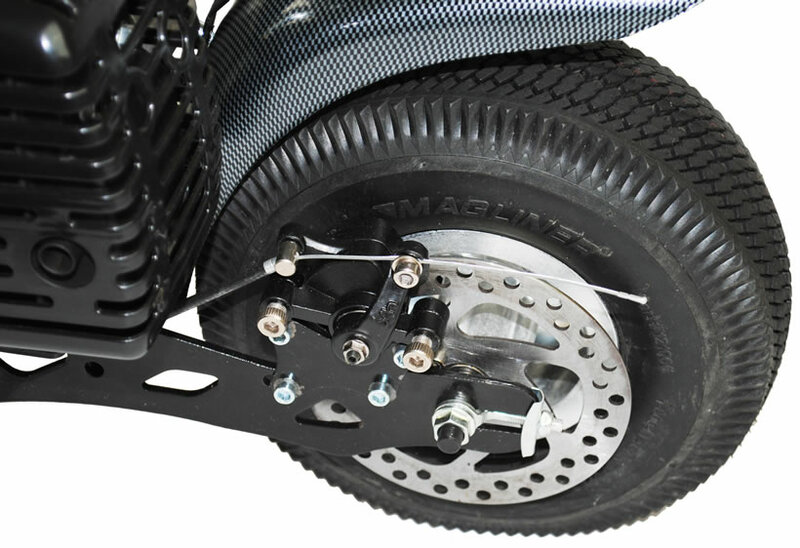 This model is feature packed with front and rear shocks, extra thick aluminium deck, front and rear mud flaps, adjustable folding seat and many more features not found on other scooters. 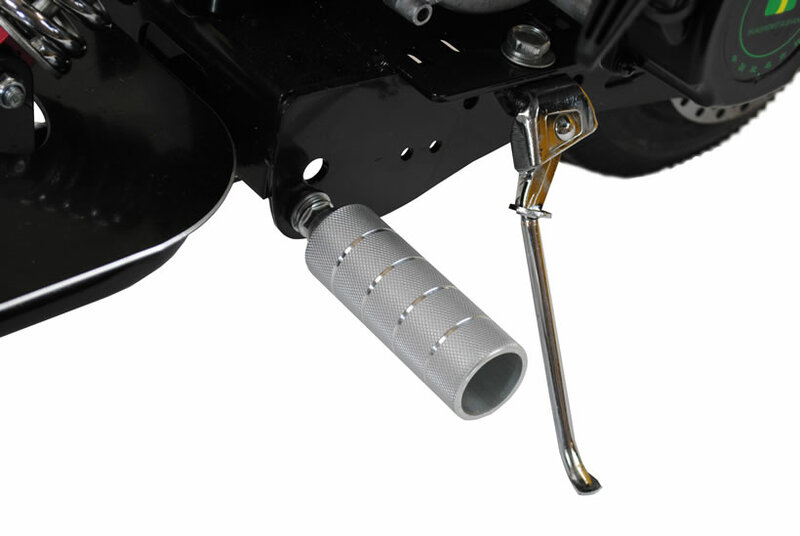 The 49CC engine with safety cut off switch on the handlebars is powerful pushing the scooter to speeds of 35 Km/H. With this product, you earn 275 loyalty point(s). 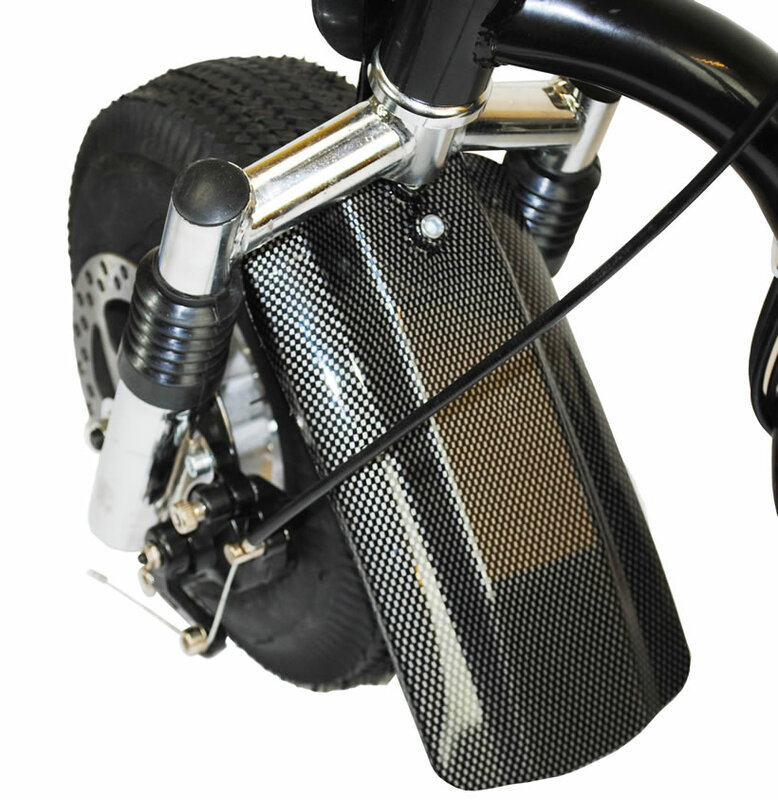 In a stylish carbon fibre style finish. Convenient spring loaded kick stand for easy parking. The nippy 49cc Petrol Engine gives a maximum speed of 30km/h. 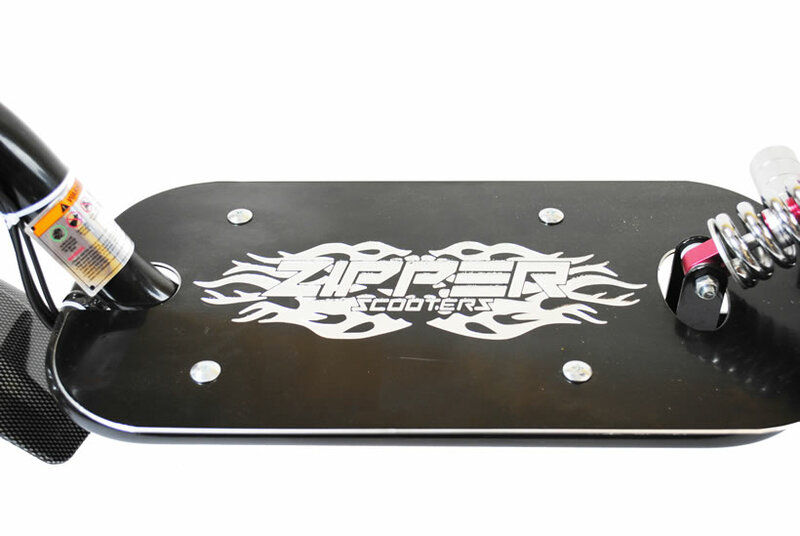 Oversized standing deck made of high grade Billet Aluminum. Front & rear vented disc brakes. 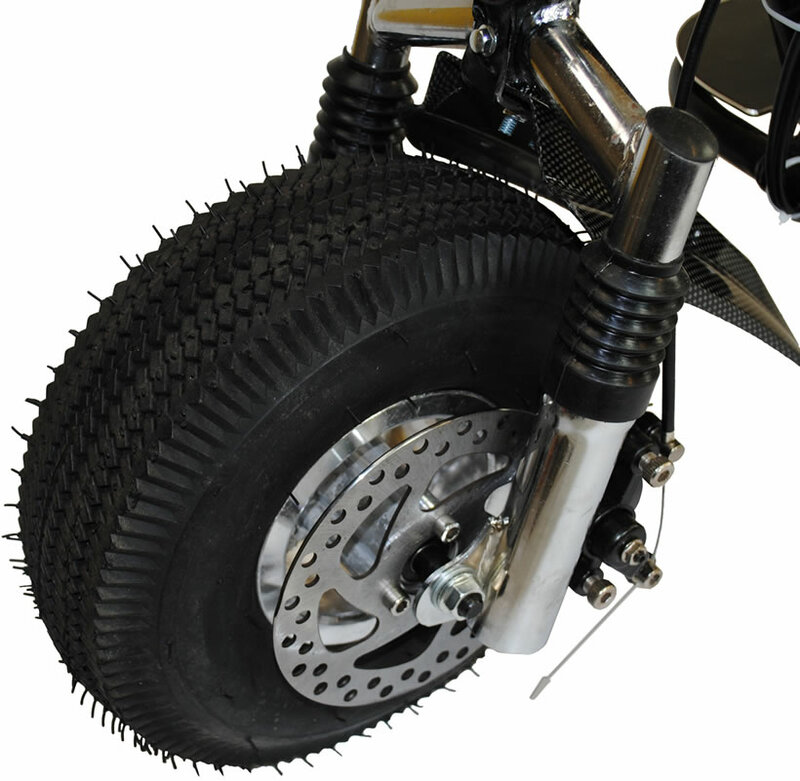 Large 9" Pneumatic tyres and Aluminum Magnesium spoke split rims provide a smooth and quiet ride. For a smoother ride, sealed to protect them from dust & dirt. 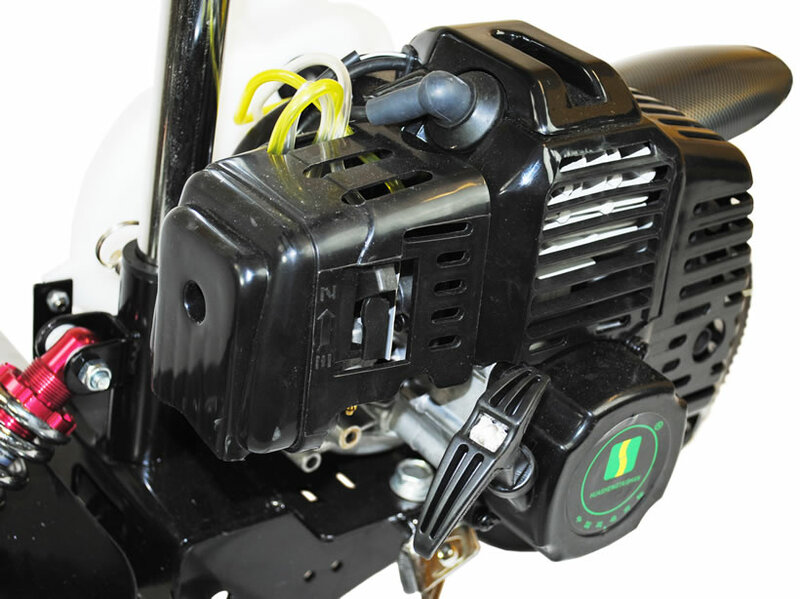 Strong and reliable chain drive system with adjustable chain tension. Spring loaded for added comfort. 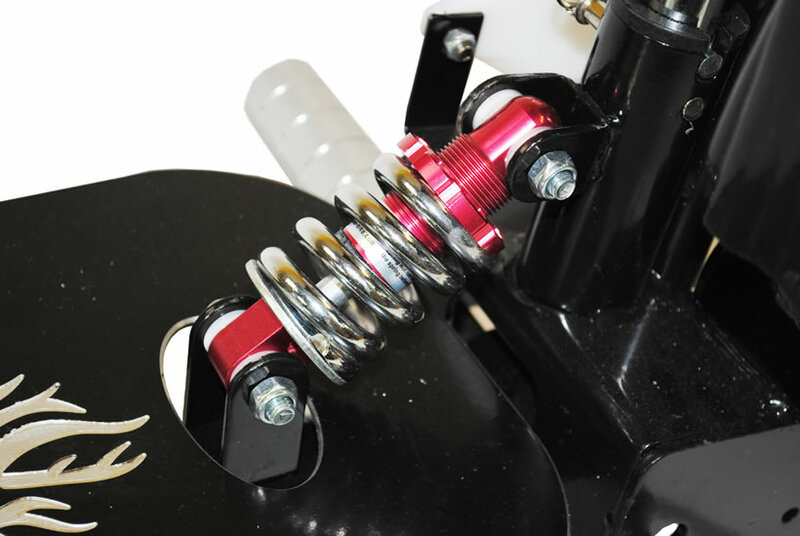 This large shock can handle the biggest bumps with ease. 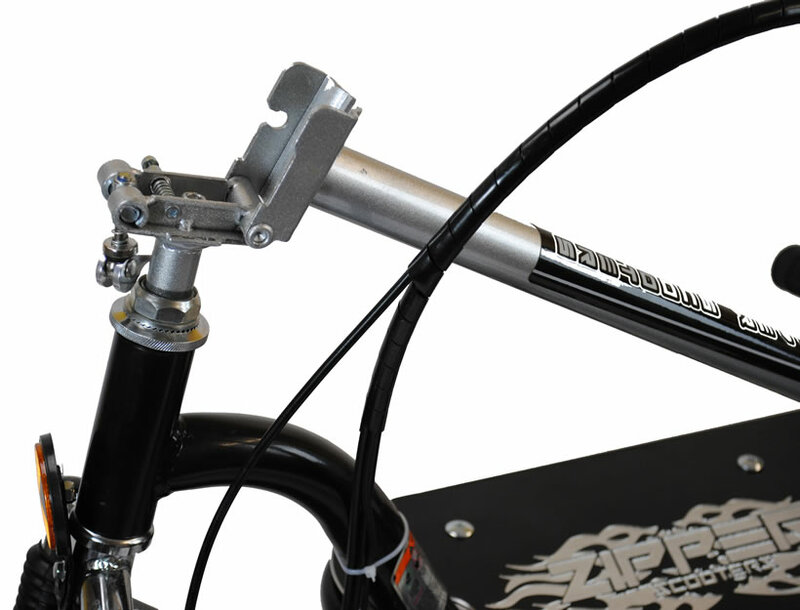 Racing handle bars with variable speed twist throttle grip acceleration and safety cut out. Thank you for your question. Approximately 20mph is the top speed of this scooter. Can i go to work or school with the scooter? Hallo - bedankt voor je vraag. 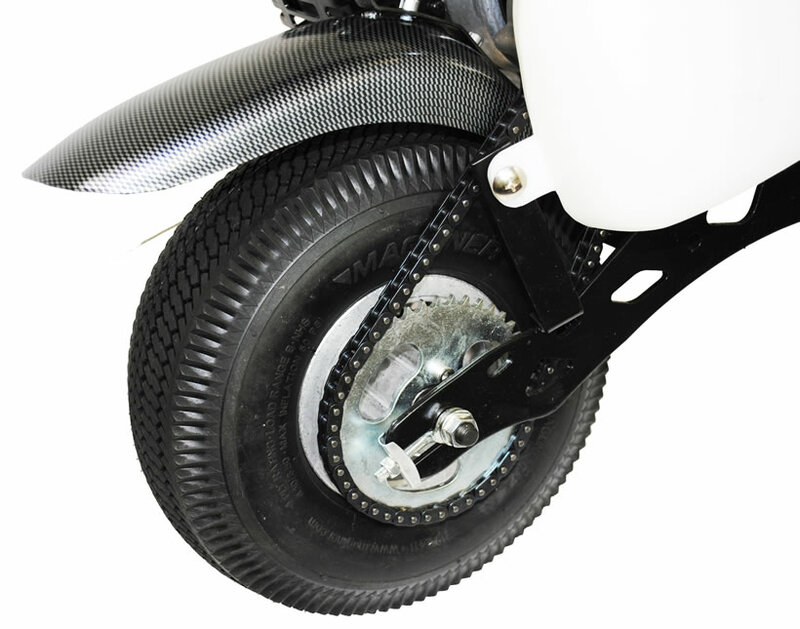 U moet contact opnemen met uw lokale autoriteiten met betrekking tot het rijden op deze scooter op de openbare weg / trottoirs. Helaas kan ik niet verder adviseren omdat het afhankelijk is van waar u zich bevindt. Hi, Thank you for your question. Yes this is suitable for off road use. How many miles can you ride with full deposit? How many litres is full deposit? Where can I get the 2 stroke oil which I have to mix with the petrol? Are they expensive? Hi, This is for private land only and not for use on public highways. The electric bikes are fully legal on UK roads. Hi No you do not need a license. Yes there is a seat with this item. 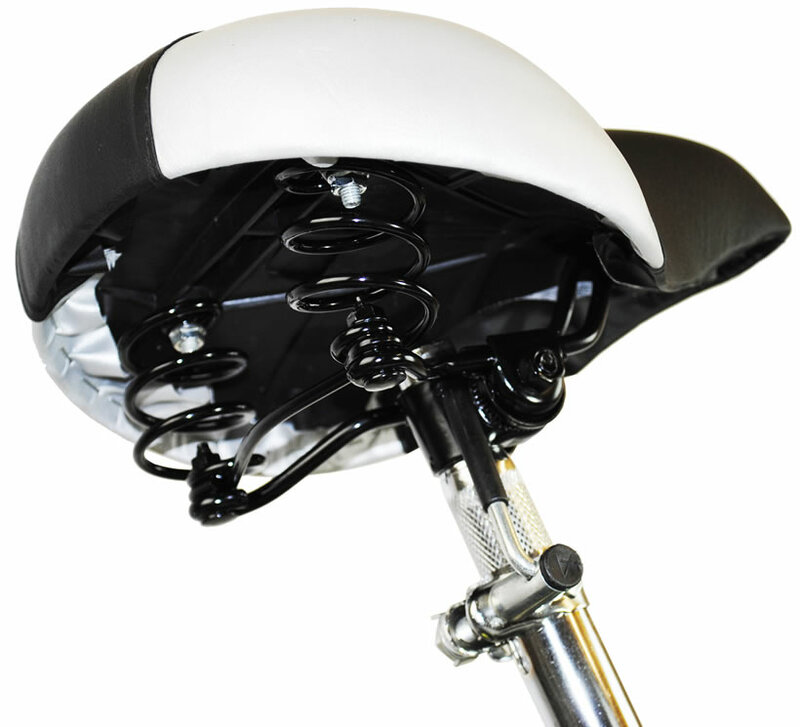 The height when folded is around 37 cm. unleaded 95 petrol which you get from a Petrol station. But you have to mix is with 2 stroke oil.